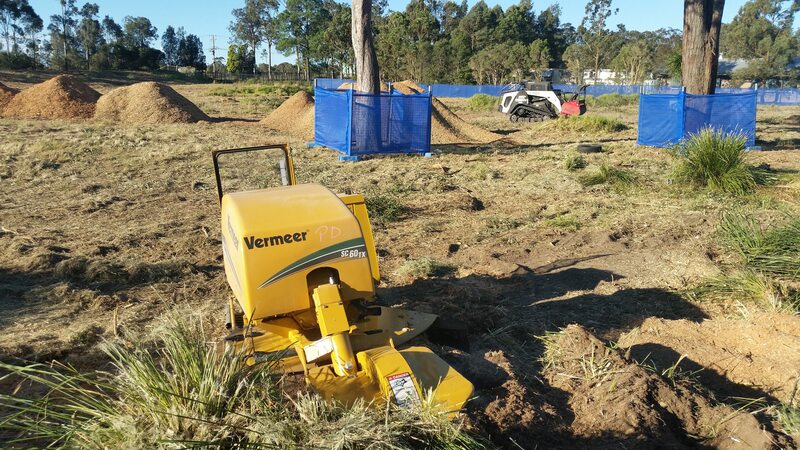 We provide land clearing and vegetation management services for a variety of projects. We have both the equipment and experience needed for this type of work. Often, people are shocked upon realising their builder has not allowed for the removal of all trees on their block of land. We have the equipment and ability to undertake block clearing work in short notice. It takes us less than a day to clear an average building block, with tree waste removed from site. If you need a block cleared to allow building to get underway, contact us for a quote. We have cleared sites for houses all over the Hunter Valley, Maitland, Newcastle, Port Stephens, Lake Macquarie and the Central Coast regions. We know the rules when it comes to 10/50 Regulation. You may be able to clear up to 10 metres of all vegetation (including trees) around your dwelling, and 50 metres of under scrubbing. Some of the rules may be a bit tricky, so make sure you read the regulation or ask one of our arborists. Click on the link below to determine if your home is in a 10/50 fire zone. 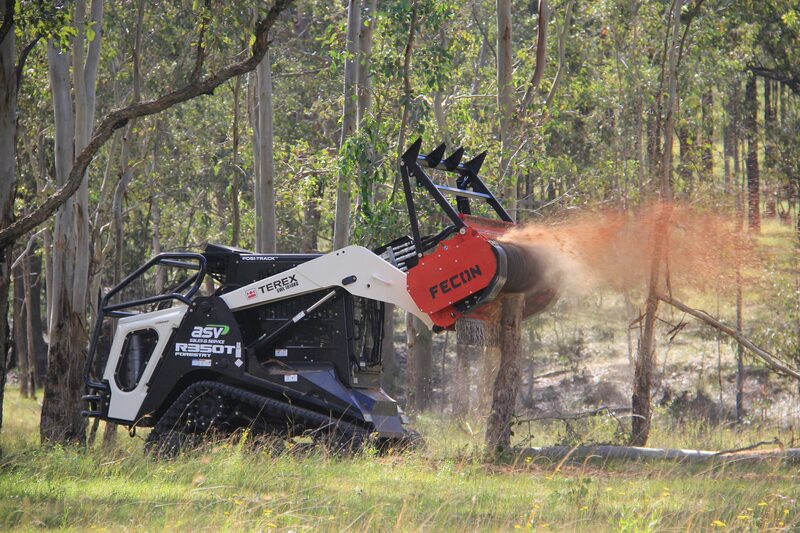 We have the equipment required to clear large areas for subdivisions or developments. 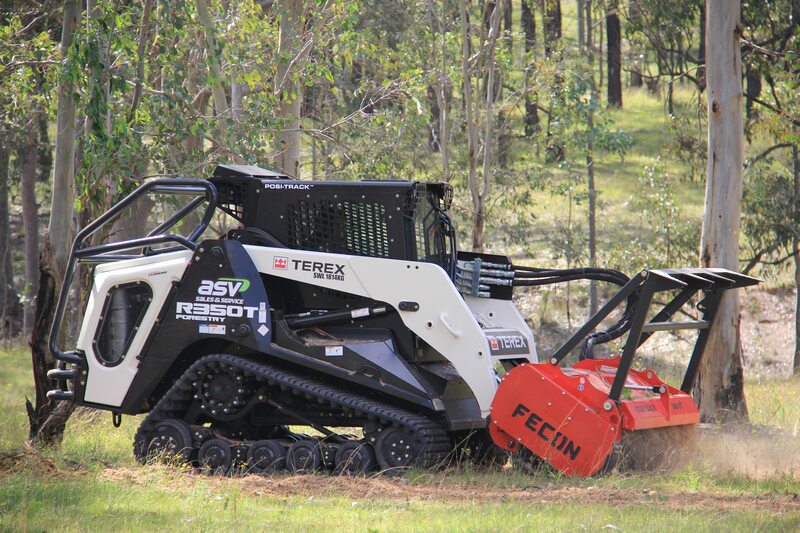 We have a forestry mulcher that can access steep and difficult terrain to clear in preparation for development. 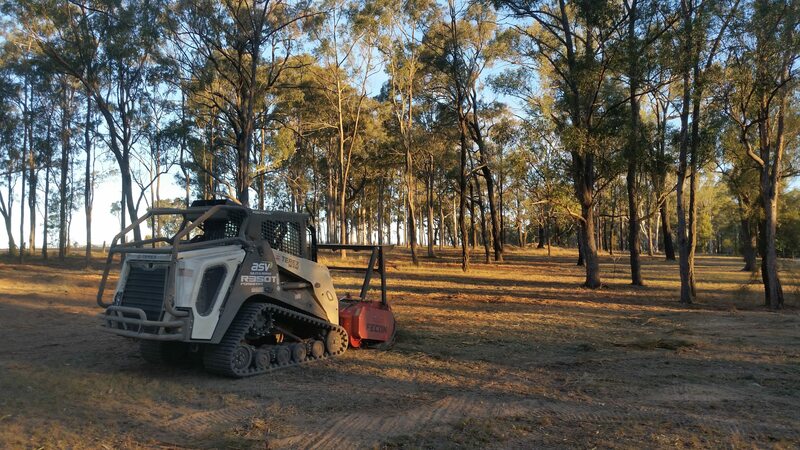 Our specialised R350T Forestry Mulcher is one of only a few available along the East Coast of Australia and we can travel long distances to complete clearing work. We provide the expertise and documentation to access high profile projects for Mining and civil contractors and can work with strict WHS and environmental conditions to achieve excellent results on your project. We undertake clearing for easements on government land and private properties. 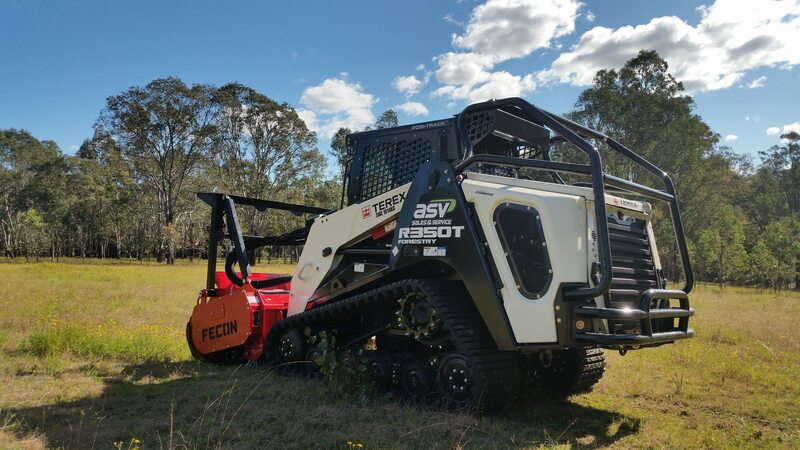 We have a Terex R350 Forestry with Fecon mulcher head designed for clearing easements, firebreaks and can access almost any terrain. As we are qualified to apply chemicals, we are able to assist you with targeted weed control. From investigation to chemical selection, methodology, and application, we provide weed control solutions that work. We supply small boom spraying, pressure spraying, and high-volume splatter gun applications. Contact us for our services to all areas of the Hunter Valley, Maitland, Newcastle, Port Stephens, Lake Macquarie and the Central Coast.